What does a framework agreement include? Space 360 is one of four companies that have signed a framework agreement for language services with Kammarkollegiet. Most of Sweden’s authorities, including universities, have canceled language services from Kammarkollegiet’s framework agreement. Space 360 has also signed a framework agreement on language services, including the Swedish Social Insurance Agency, the Swedish Tax Agency and the Public Health Authority, as well as several private companies. Through an agreement you get the client benefits that might mean big savings for your business. Together we analyze the need for desired services. A framework agreement with Space 360 can reduce your costs and administration. All Swedish authorities are covered by the Public Procurement Act through the Kammarkollegiet. Space 360 is responsible for all documents received from the client, as well as translated material, both in paper form and in electronic form and how they are handled by Space 360 and its subcontractors. Copies are kept in a locked space and in electronic form. Special rules apply to classified information and only authorized personnel have access to such documents. Space 360 is responsible for the safe destruction of information when required. Space 360 has special procedures to ensure that information security is maintained. The routines apply in all respects, even when documents may be sent between Space 360 and the subcontractor or translator. These are specified in ISO 17100 and are integrated into Space 360’s quality management procedure. 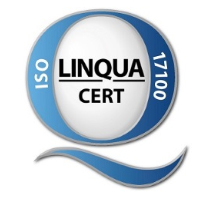 ISO 17100: 2015 is the international standard for language services and your guarantee of a professional flow from project launch to final delivery.